The first sin caused a separation between the King (Light) and the Queen (Shechina) that had to go to exile. With our positive actions, study of the Zohar and meditations, we bring the Shechinah from exile state to unification with the light. When we treat the queen with honor, we receive honor from the Light. The Zohar reveals to us secrets of the Final Redemption from this verse. When we got out of the first exile that was in Egypt, we were like slaves running away from their masters. When we left Egypt, we didn’t have the Torah that is our connection to freedom. 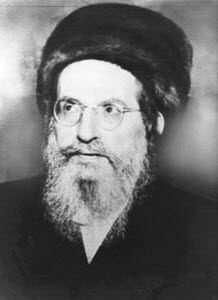 By the merit of the study of Torah at its highest level that is the Zohar, we will get out of this exile as free people. The Zohar describes the Torah as a bill of freedom and without it and the Zohar most people are still slaves to the material world and won’t be able to enjoy the Final Redemption. Zohar Quotidien # 1060 - Appeler à la maison pour dire bonjour à Maman, Papa Daily Zohar # 1062 - How to achieve immortality?